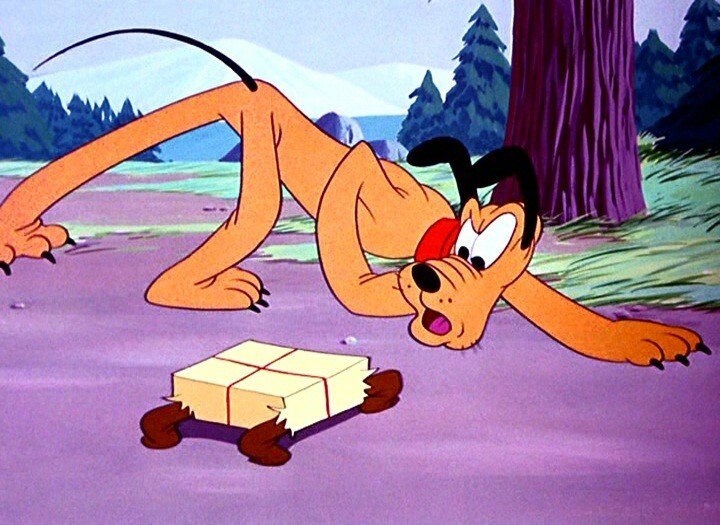 Pluto’s Surprise Package (film) Pluto cartoon; released on March 4, 1949. Directed by Charles Nichols. Pluto has quite a time getting Mickey’s mail into the house, what with the wind blowing the letters about and a turtle emerging from one package.